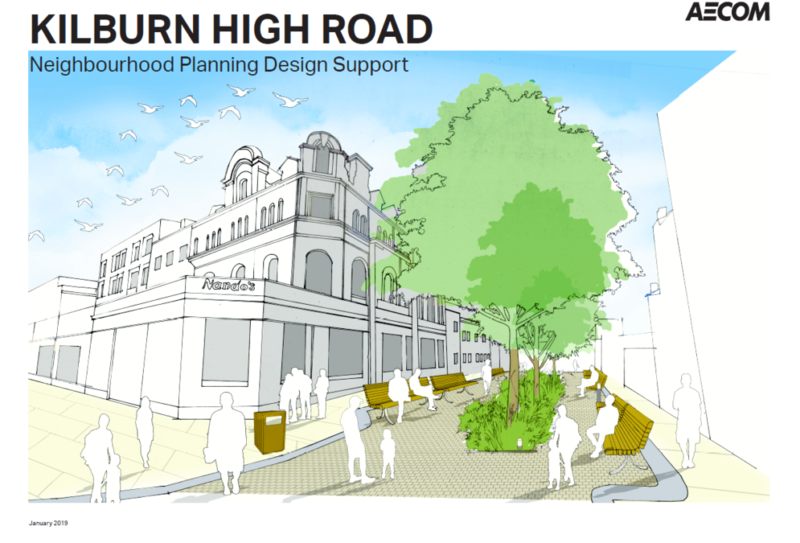 There was general agreement for the environmental proposals, particularly opening up some spaces at various junctions on the High Road, for example the pocket park at Palmerston Road, and identifying various improvements to street furniture. There was also reference made to the preservation of the Victorian facades, but the committee thought this should have greater emphasis. The committee found the plans and diagrams very useful especially those identifying key hubs along the High Road but was concerned that the junctions with Willesden Lane and Belsize Road had been omitted. The most disputed aspect of the report was the division of Kilburn High Road into three distinct sections. The significance of these sections was discussed. There were a variety of views ranging from concerns about named sections at all; to disputes about where the boundaries should be and whether there should be four or more sections. It was also noted that the use of ‘Kilburn High Street’ could be confusing and this section might better be called ‘shopping centre’. Please find the report here. We welcome any feedback and will be discussing this subject at our next members meeting on 2nd April.